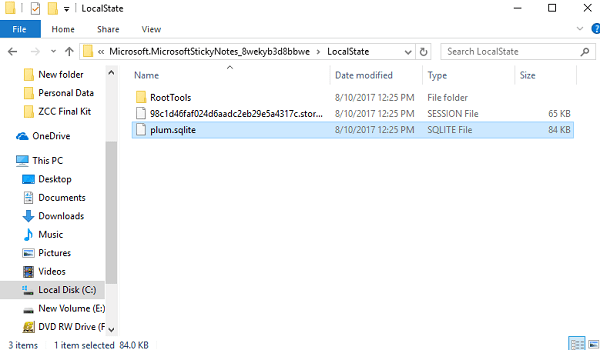 In case, you’re interested to know Windows 10 Sticky notes location or where the Windows sticky notes files are stored? The post is dedicated to you. Sticky notes is one of the most popular applications of Windows OS from the day when the Microsoft released Windows XP first edition. Following the tradition, it is part of Windows 7, Windows Vista, Windows 8/8.1 and now is the recently launched Windows 10. The purpose of adding this program to Windows operating system is to offer a note taking and to-do list app to users so that they can write quick notes right on the desktop. No doubt Sticky notes is an essential program of the Windows 10 operating system, but lots of users find it difficult to launch this file because they are confused about Windows 10 Sticky Notes location. And if you’re reading this post, then chances are high that you’re one out of them. Right? Don’t worry! Starting with Windows 10 Anniversary Update, the Microsoft has replaced classic sticky notes app with modern sticky note app. The company has integrated with Cortana app and Start menu search so that users can add more contextual information to their notes. 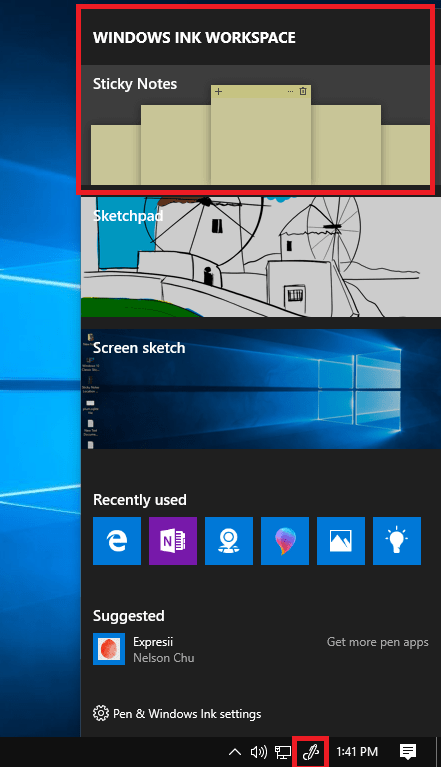 Whether you’ve upgraded to Windows 10 Anniversary update or running the build older build one of the easiest ways to launch Sticky Notes in Windows 10 is by searching the application in Start menu search bar and when it appears in the search results simply click to open it. But there are other sticky notes location in Windows 10 too which you can use in case Windows 10 Start button is not working. 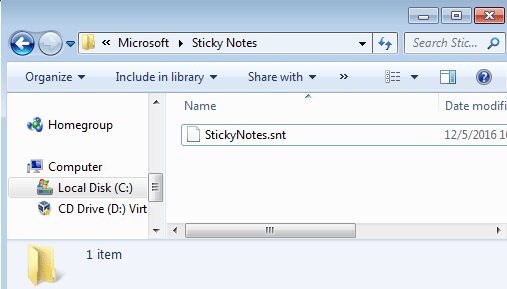 Tip: StickyNotes.snt file play an important role in backing up and restoring Sticky Notes in Windows 10. You need to copy the file to another location to back up and reverse the process to restore. 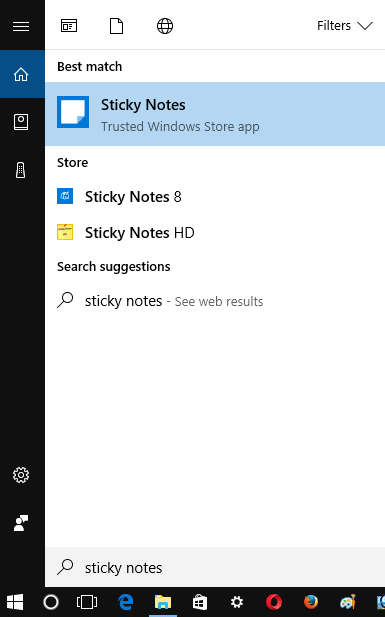 But users who have upgraded to Anniversary update of Windows 10 1607 will not find Sticky Notes in above-discussed location because it is replaced with modern Sticky Note app available at the new location. 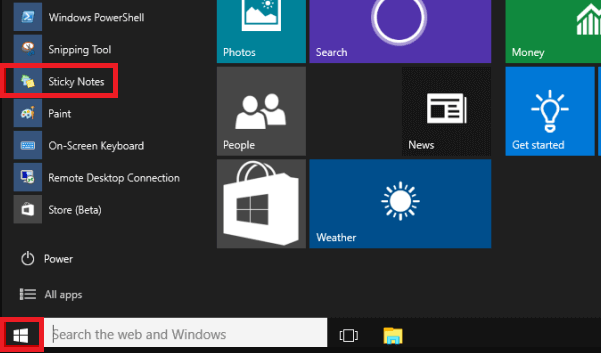 Click on the Start button -> In Start menu, navigate to app start with S alphabet. Here you will find out Sticky Notes modern app. Alternatively, If you have enabled Windows Ink Workspace, then you can also open Sticky Notes right from its interface. For that, you need to click on Windows Ink Workspace system icon available in the Notification area. At the top of its window, you will see Sticky notes. Simply click to launch it. Copy-paste the following path in the File Explorer address bar and hit Enter. Like discussed above, you can copy this file to another location to backup your sticky notes. After that paste the same file in this location to restore Sticky notes files. Make sure Sticky note application is not running in the background. 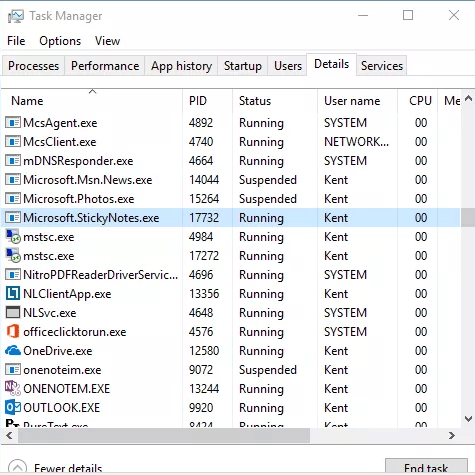 You can check it in Task Manager just like discussed above. 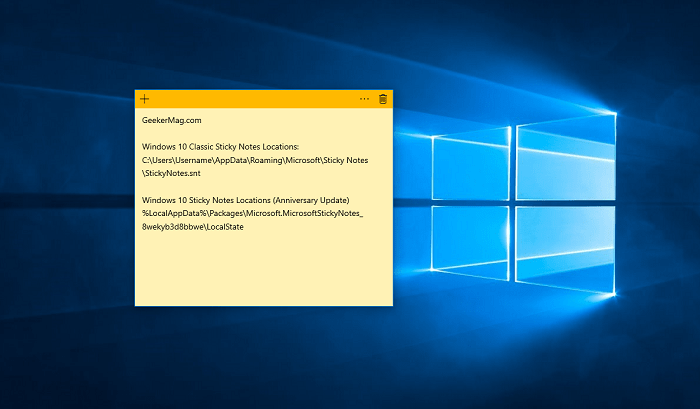 So in this article, you learn everything you need to know about the Windows 10 Sticky Notes locations. I hope you find this article useful. Let me know your thoughts in the comments.